Pittsburgh Cryobank, Inc. offers sperm banking to males wishing to preserve their future fertility. It is recommended that sperm samples be cryopreserved prior to treatment, surgery, and/or exposure to chemical, biological, or environmental hazards for the best quality sample. 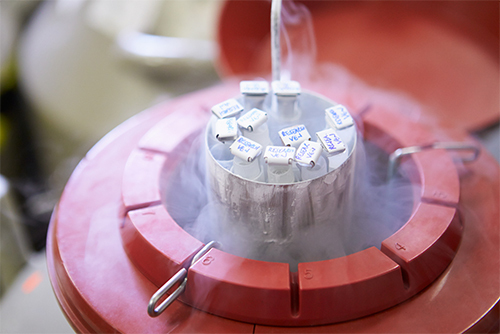 Potential future uses of cryopreserved specimens include IUI, IVF, ICSI, and other ART-related procedures. Please note that quality of the sample post thaw will most likely dictate which procedure(s) can potentially be used. See FAQ for details. See Sperm Cryopreservation Information for a history of cryopreservation and additional details.